finally after doing a few mods, then saving up the pennies for a re-map, ive finally booked my car into r-tech for a re-map! Ive heard some good things about them and the guy on the phone was very helpful! also, the guy (nick if i remeber) recommended i ditch my K&N 57i induction kit and opt for the standard air-box with a performance panel filter. 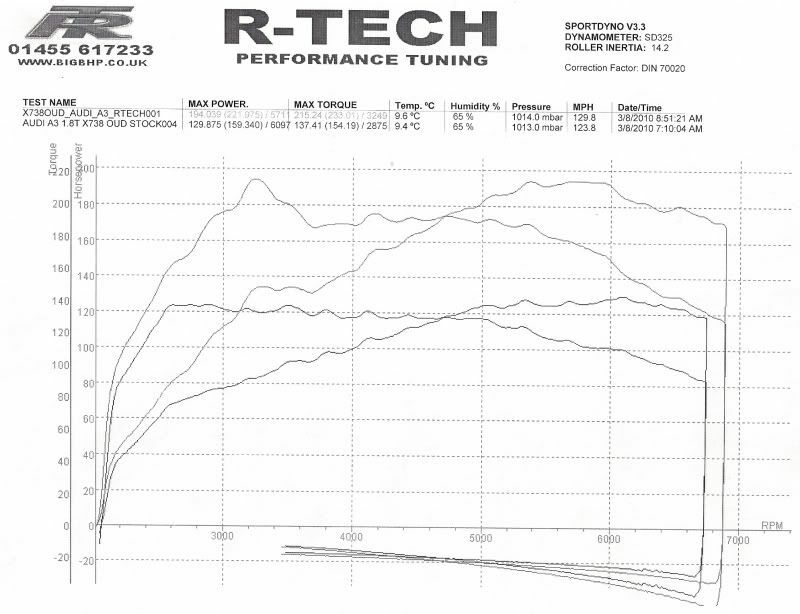 anyone else ditched their induction kits to opt for the performance panel filter instead?? Suppose it makes sense with the "heat-soak"?? big intercooler will help with heat soat if u have a open cone. 20-vt - for £250 it transformes ur car, with your AGU engine and Ko3 turbo, 190-195bhp is said to be the max, swap ur turbo (straight swap btw) for a ko3s, and then ull get 200bhp+ easily. i ditched the cone on mine !! it brought the management light on and i saw no difference !!! i was told it was cus the maf sensor was picking up the oil that was soaked in the filter !!! so i went back to a performance panel !! lights still though..but ive been told its temp sensor though...does the k04 bolt straight on or do i need the manifold too ??? I think you need to change the manifold aswel, not to sure, but its alot easier than going for a diffrent turbo set-up like garret or other ones like that where you have to custom make nearly everything to bolt them on! ill get the dyno printouts up in the morning as my scanner is in work. Yup lol bloody goes like stink now!!! akin hell of a difference there with just a re-map. nice one, like owning a new car ? i frgt to ask, how has this affected ure mpg lool ?? there was and AGU a3 there the same time as me, his got up to 190bhp with a re-map! not bad either, but he wasted his money on a full miltek system which didnt sound half as good as the one sion hibbot did for mine! best £250 ive ever spent! so the aug gt 190 ish on bvasically a standard car ? as far as i could tell, he had de-cated it with a miltek system, cold air feed induction kit (viper i think) and a forge 007p recirc valve, wasnt standard, but just bolt on mods.